There is reason to believe that among the key traits that distinguish humans from the primates that are phylogenetically closest to us are cognitive and social abilities as exemplified by language and diverse aspects of social interaction and cultural expression. It is reasonable to speculate that these characteristic human phenotypes are based on differences from closely related species in neural development, which in turn ought to reflect differences in the nucleotide sequences of the genes that encode proteins or RNA molecules involved in this process. A study (1) published in Cell in October of this year by Christopher A. Walsh of Harvard Medical School, his associates, and collaborators from numerous institutions focuses on so-called human accelerated regions (HARs), portions of the human genome that have diverged more rapidly than other regions from the genomes of the species most closely related to humans. Doan et al. sought to identify mutations in HARs that are associated with abnormal cognition and social behavior of the sort that can be found in autism. Pollard and associates (2, 3) first defined regions of the human genome that exhibit relatively increased rates (in comparison to other regions of the human genome) of nucleotide substitution using the chimpanzee genome as the basis for comparison. Thus, HARs are the portions of the human genome presumed to have diverged most rapidly from the common ancestor of chimpanzees and humans. Assessing rates of substitution over various regions of the genome is neither simple nor straightforward, but Pollard and her colleagues relied primarily on a method that employs likelihood ratio tests. While HARs have changed relatively rapidly over the period during which the human species evolved, they are now highly conserved among humans. With respect to HARs that influence higher brain functions, the standard view is that positive selection for increased cognitive and social capabilities drove nucleotide substitutions in HAR but that once humans achieved roughly their current phenotypic profile, negative selection became dominant. Walsh and colleagues were therefore motivated to determine the phenotypic consequences pertaining to cognitive or social behavior of mutations in HARs. Using a total of over 2,700 HARs that the authors could identify in various publications over the period from 2006 to 2011, they explored the patterns of mutation in comparison to other portions of the genome. Doan et al. found that in comparison to unaffected individuals, those with autism-related disorders who had related parents had more rare mutations affecting both alleles in HARs. These mutations are claimed to account for as many as 5% of cases of autism associated with consanguinity. The authors’ attribution of causality in instances of autism to these biallelic mutations in HARs relied on multiple genomic and functional methods. Walsh and colleagues also found that rare de novo copy number variants (CNVs) containing HARs were found in much higher frequency in individuals affected by autism than in unaffected siblings. There was no such correlation with for CNVs inherited from parents. These results suggest that when genomic elements critical for the evolutionary origin of humans are mutated one result can be neurobehavioral dysfunction or at least neurobehavioral function that differs substantially from what is typical. In one sense then, one could argue that HARs “account” for the phenotypic difference, or more cautiously, much of the phenotypic difference, between humans and the phylogenetically most closely related species. However, it is important to remember that even human genomic elements that do not differ especially from the comparable genomic elements of chimpanzees, or that do not differ at all, may still be critical for processes that mediate distinctive human traits. Which genetic elements “count” as contributing to traits that distinguish humans from chimpanzees or other species depends on precisely how “count” is defined. In closing, I wish to offer an editorial comment that is not purely scientific. Reading the study by Walsh and colleagues reminded me of a press release (4) from UCLA about mirror neurons I encountered back in 2010. The article opened by noting that some unspecified people say that mirror neurons make us human. Later in the article, the author quotes an investigator involved in the study on mirror neurons that was the basis for the press release to the effect that “dysfunction of these mirror cells might be involved in disorders such as autism.” Combining the two points, I can imagine that some readers of this piece might be led to conclude that people with autism are therefore less than fully human if the cells that “make us human” are dysfunctional in autism. This sort of reductionist inference is flawed. Based on the point in the immediately preceding paragraph and on other information, I would just note that there are reasons to doubt that mirror neurons are truly the sole basis for the differences between humans and chimpanzees or “what makes us human” even if one limits consideration to neurobehavioral traits. In this context, it is interesting to wonder about which brain cells are significantly influenced by HARs in terms of gene expression patterns. Another point worth noting is that according to Doan et al. 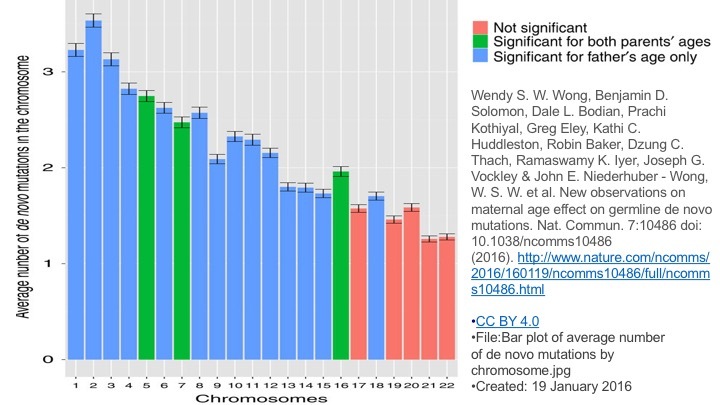 mutations in HARs account for autism in only 5% of autism cases involving consanguinity and therefore, presumably, much less than 5% of all cases of autism. These considerations strongly suggest that autism is unlikely to result solely from mutations in HARs or solely from dysfunction in mirror neurons. Doan RN, Bae BI, Cubelos B, Chang C, Hossain AA, Al-Saad S, Mukaddes NM, Oner O, Al-Saffar M, Balkhy S, Gascon GG; Homozygosity Mapping Consortium for Autism., Nieto M, Walsh CA. Mutations in Human Accelerated Regions Disrupt Cognition and Social Behavior. Cell. 2016 Oct 6;167(2):341-354.e12. doi: 10.1016/j.cell.2016.08.071. PubMed PMID: 27667684; PubMed Central PMCID: PMC5063026. Pollard KS, Salama SR, Lambert N, Lambot MA, Coppens S, Pedersen JS, Katzman S, King B, Onodera C, Siepel A, Kern AD, Dehay C, Igel H, Ares M Jr, Vanderhaeghen P, Haussler D. An RNA gene expressed during cortical development evolved rapidly in humans. Nature. 2006 Sep 14;443(7108):167-72. PubMed PMID: 16915236. Pollard KS, Salama SR, King B, Kern AD, Dreszer T, Katzman S, Siepel A, Pedersen JS, Bejerano G, Baertsch R, Rosenbloom KR, Kent J, Haussler D. Forces shaping the fastest evolving regions in the human genome. PLoS Genet. 2006 Oct 13;2(10):e168. PubMed PMID: 17040131; PubMed Central PMCID: PMC1599772.